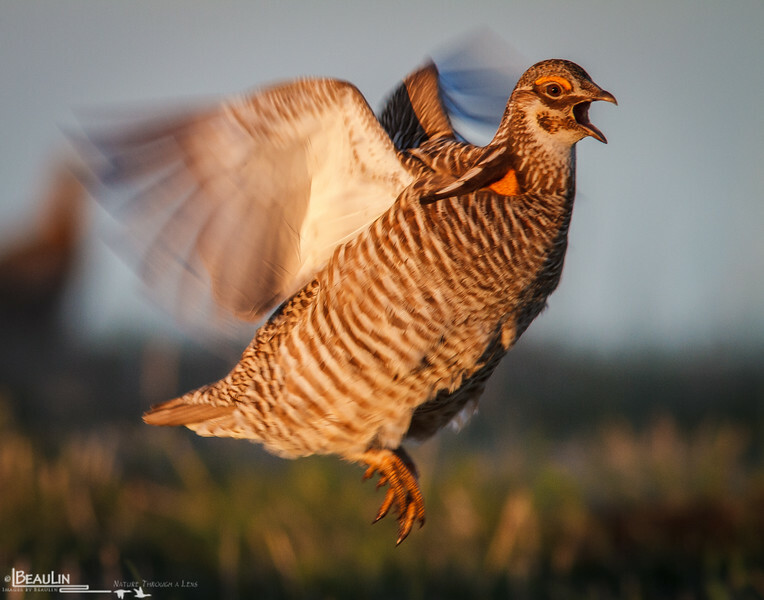 Captured this greater prairie chicken on Bluestem Prairie SNA in Clay County, Mn last May. When females show up on the booming ground, and especially when they avoid certain territories, the males such as this poor little fellow can't contain themselves, and engage in flutter jumps to try what they can to attract the attention of the ladies. If this is unsuccessful, they will even resort to flying on top of and displaying on the observation blinds (which also doesn't work). Jump flights occur in a fraction of a second, and are quite difficult to capture in focus.